Who could not lead off without their own gaming group? I've been blessed to play Greyhawk and innumerable other games with not just one but often 2-3 entirely different table-top groups. 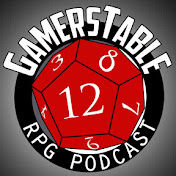 The oldest and best of these groups is comprised of the cast of Gamerstable our very own RPG podcast. If you haven't listened to the show before you should, because Gamerstable really is in a class of its own. All the gaming related things we have done as a group from conventions to actual-play dramas and more are there for your amusement. Though separate, Greyhawkery has been running alongside our game groups and podcast all this time, serving as my outlet for in-game content like the Sea Princes Campaign or the Mines of Hokar. The creative projects that I display weekly on Greyhawkery are also thanks to many other fans of Greyhawk who supported and collaborated with me over the years. Foremost is Denis Tetreault and his fan site, Maldin's Greyhawk which has been a champion of my blog and comic work for a long time. There's an impossibly huge list of friends and colleagues who I've worked with on projects like the fanzine Oerth Journal or featured their solo writing and art on Greyhawkery. The Greyhawk community is an inspired bunch that never runs out of ideas. RPG blogging itself is a community and there is a ton of them to keep track of (luckily good old Charles Akins at Dyvers does the hard work) but the ones that inspired me the most to get into blogging is (for obvious reasons) Joe Bloch's Greyhawk Grognard. Though our theme is much the same our content has always been complimentary rather than competitive. I encourage anyone who has dreamt of blogging about their campaign or favorite setting to follow our example and stick with it. You won't always have new content to upload or a hot topic to discuss, but even a small post (or one referring from another blog) to let people know you're still active goes a long way to holding an audiences' attention. Speaking of which, ongoing content has always been a main feature of Greyhawkery. My old Greyhawk Comic and home campaign serials were heavily featured in my early years and now the last couple years I have been collaborating on the webcomic Castle Greyhawk with published author Scott Casper. If you ever have a chance to work on a special project or a blog with another person I highly recommend it because sharing the workload can only benefit your blog's longevity. For your 500th post, you get 5,000 xp -- well earned! Congratulations Mike! Long Live Greyhawkery! Due to your Excellent performance over the course of this level, you will require only 7 weeks of training and 28,000gp to reach your next level. Congrats on the milestone! I've been a longtime lurker and I'll say that it is very, very rare for ANY roleplaying blog to be consistent and 'alive' as long as Greyhawkery has. Well done! Since I play in an occasional game set in Greyhawk it is nice to learn more about the world (which I never played in back in the day). Samuel: Thanks for reading Greyhawkery and following Gamerstable as well! Now you're no longer a lurker! seaofstars: I appreciate that. I like to be equally entertaining and educational about Greyhawk. More to come!